That's a terrible headline, but we're running with it. 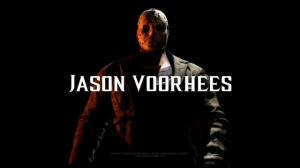 Warner Bros has released the first footage of Friday the 13th anti-hero Jason Voorhees in action in Mortal Kombat X. Despite lasting just 50 seconds, we get a good look at the masked maniac's various special moves – including one of his Fatalities. 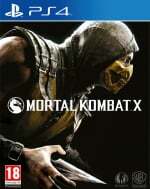 The kharacter will be available from 5th May for Kombat Pass owners, and a week later for everyone else. That's actually a great headline! I am here only for that headline! Looking forward to kicking a$$ with him tomorrow. I like when NetherRealm does this cameo characters, I just hope Jason and Predator seem different and unique rather than clones of existing characters. One of the few problems I have with the game is that some characters, particularly Cassie, Jacqui and Takeda (eventhough I like all three), seem like exact copies. Now...bring Freddy into this one and it'll be the perfect setting for a hellish battle!! !